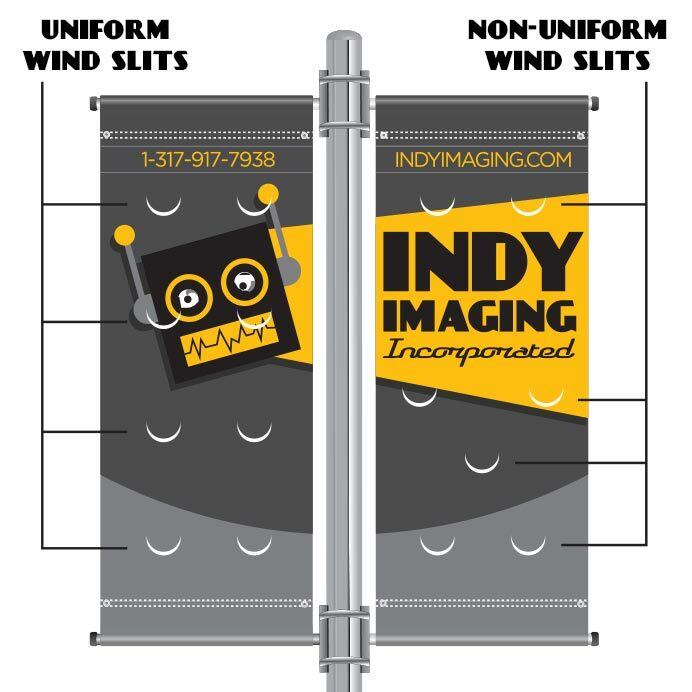 Wind Slits – Indy Imaging Inc.
Wind slits increase the lifespan of the banner. There are basically two strategies with wind slits. Uniform throughout the banner or non-uniform around text and logos.